Painting With 'Mr P' – Staying Creative With Parkinson's Disease. Staying Creative With Parkinson's Disease. I’m an artist, wife, dog and hen owner, beekeeper, charity development officer/ volunteer/ trustee. I have a Ph.D, and sing and play the piano. Oh, and I have young onset Parkinson’s disease! In the UK, there are less than 48 per 100,000 women (under 50-years-old) living with the condition (Parkinson’s UK). 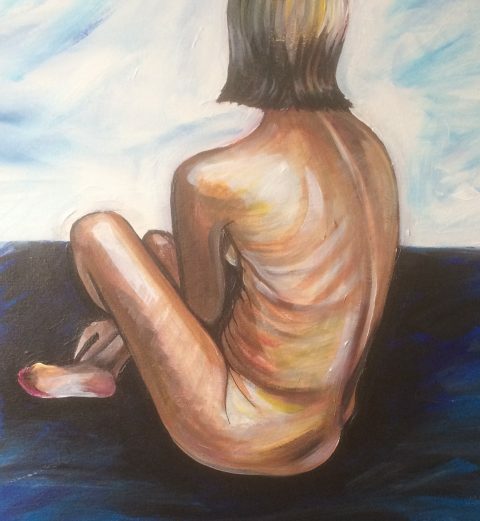 So, as I’m a relatively rare thing – a 47-year-old, female artist with Parkinson’s, I’d like to raise awareness of the condition and what it means to me. This is my online space to record, explore and share my creative practice and the effect (positive and negative) the disease has on my creative work.